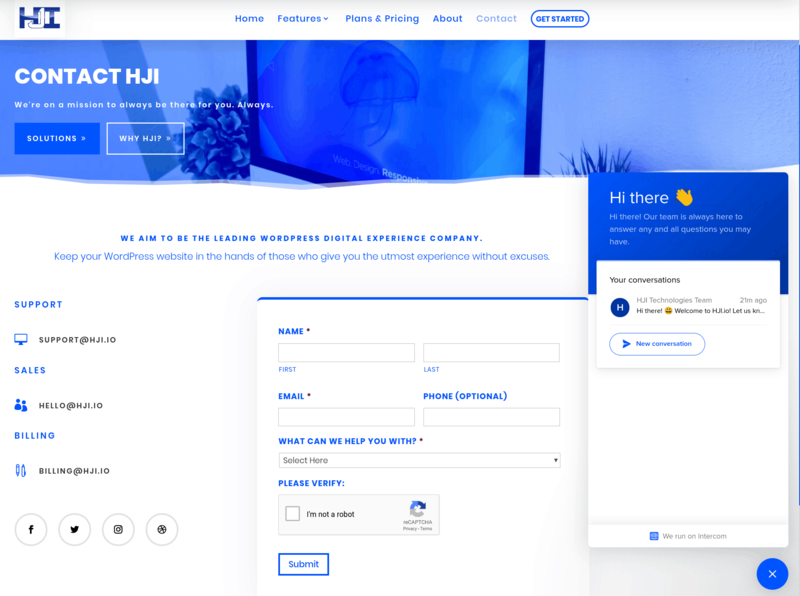 HJI Technologies Review 2019: Is HJI Technologies a Good Hosting? If you want a company to take your website all the way from initial design to final deployment and ongoing hosting, then HJI Technologies could be that company, but beware that this "full service" doesn't come cheap. HJI Technologies was founded in 2014 with the motto, “A new, uncompromising experience.” Thus, this hosting provider aims to provide a complete hosting service with the total peace of mind that means you can concentrate on your business rather than worrying about your hosting. You can either submit your own website design for HJI to build or get the team to design and develop your website from scratch. HJI is not your average hosting service provider. It aims to take care of all your hosting needs from the design to the deployment of your website. Not only can you get a complete WordPress-powered website, but also the global CDN will ensure that is loads quickly. And the premium Jetpack subscription comes with SEO, performance optimization, website analytics, and WordPress themes and features that make it an excellent toolkit for any website. The downside is the high price you pay for just 15 pages and 15 stock pictures. And with a WooCommerce plan, you’re limited to a low number of users and a maximum number of sales, although at least your storage and bandwidth is unlimited. You might get a slight shock when you first look at HJI ‘s high prices but bear in mind that this company is offering to design and host your website. 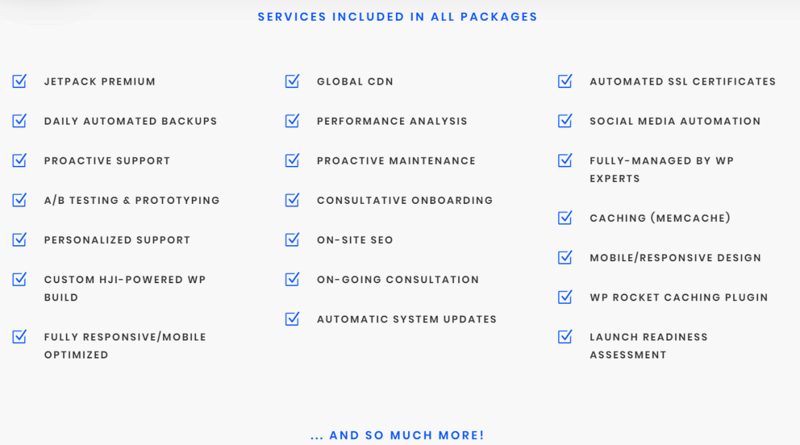 Some of the things you get for free (which you might usually pay extra for) are a premium Jetpack subscription, CDN, SSL certificate, daily backups, proactive support, fully managed hosting, and ongoing consultancy. The biggest price differentiator is whether you want HJI to implement your own website design or come up with one from scratch, although – either way – I still think the offerings are expensive unless you really want the convenience of not having to worry at all about managing your website. For a website without all the hassle of day-to-day operations, HJI Technologies could be the design, development and hosting company for you. The only downside is that you have to pay the price for complete peace of mind. Let HJI Technologies take the strain of making and managing your website. Wondering how HJI Technologies stacks up against other Web Hosting companies? Enter any other Web Hosting company and we will give you a side-by-side comparison.